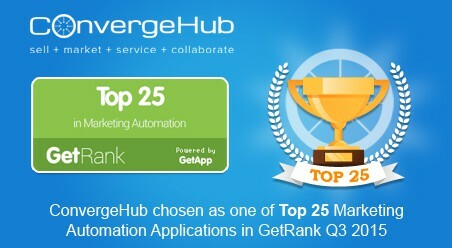 ConvergeHub, the world’s leading Customer Relationship Management (CRM) software, has been chosen as one of the Top 25 Marketing Automation Applications in GetRank Q3 2015. As the list of the Top 25 Marketing Automation Apps was getting prepared, vendors around the world had their fingers crossed. Experts had multiple predictions on their cards. And finally, when the names have been declared – everyone has their eyebrows raised! In the midst of several dedicated standalone marketing automation apps, comes ConvergeHub – A CRM platform! What is ConvergeHub doing here? What has made ConvergeHub race past the other marketing apps? What unique qualities does ConvergeHub offer? ConvergeHub has entered into the CRM market in June 2013. However, instead of getting drowned in the sea of 240+ software products, it has made a significant impact and managed to acquire customers from all quarters. How? Simply because it has demonstrated innovation in the 22-year old CRM industry. ConvergeHub – What new has it brought to the party? ConvergeHub is a solution primarily built for the fast-growing small and medium-sized businesses. However, just in case you think what SMBs have got via ConvergeHub is a plain-vanilla CRM – you’re highly mistaken. ConvergeHub is the first SMB CRM that has ushered in the trend of Customer Engagement Management. The makers of ConvergeHub have been one of the early pioneers who have predicted and endorsed the importance of Customer Engagement. How has ConvergeHub redefined Customer Engagement Management for Small and Medium Businesses? But how is that possible for the SMBs? Because too often, small businesses have different departmental tools to engage with the customers. The marketing department uses marketing automation, sales team has sales force automation, and customer service agents have a customer support tool. So the data generated within these systems stays within the watertight compartments only. Other departments either never get access to this data, or get it too late to take advantage out of it. ConvergeHub has removed this biggest obstacle of the SMBs by offering a stellar combination of CRM and Customer Engagement Management Platform. It functions as a Business Growth Enabler for small businesses, offering a cloud-based all-in-one software for Complete Customer Engagement Management. It provides Sales, Marketing, Customer Service and Collaboration in ONE powerful, unified, easy-to-use platform. That means with ConvergeHub, SMBs tie together the sales, marketing and support interactions to break down silos of information and better engage with the customer. SMBs use ConvergeHub as an overarching software platform at every point of customer engagement, right from the first stage of marketing when a prospect is maturing into a lead, to sales and finally in customer service. 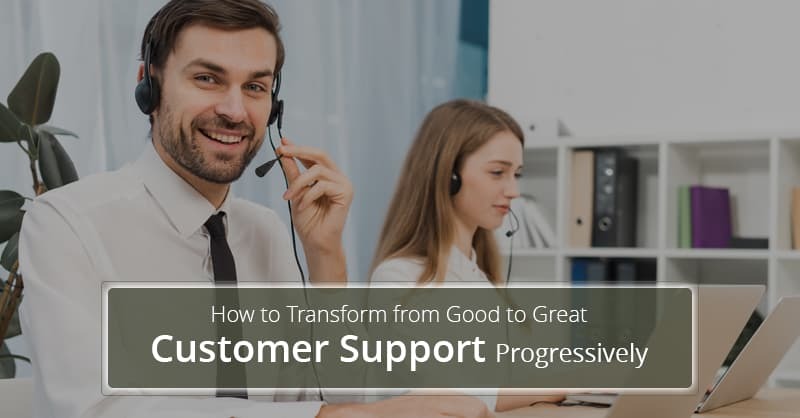 By orchestrating customer conversations in one platform, employees across departments understand at what stage every customer is. This helps them to engage in a consistent, valuable and personalized way with the customers and provide extraordinary experiences to them. How ConvergeHub excels as a Marketing Application? It is observed that many small businesses find marketing hard to plan, expensive to manage, and difficult to track. They struggle to find the right resources for handling the marketing activities, which ultimately results in reduced revenue and profitability. ConvergeHub puts an end to this trouble of the small businesses. How? ConvergeHub converts marketing from Hand-operated to Automated! It offers robust ‘Marketing’ module that allows small and medium-businesses to streamline, automate, and track marketing tasks; that results in increased operational efficiency and revenue. With far less effort and much lower costs, SMBs frame campaigns, identify which marketing programs are working, and accelerate leads through the sales funnel. What makes ConvergeHub different from other marketing applications? 1. Multi-channel Marketing: Today, customers interact with companies via channels they choose, and not necessarily the ones chosen for them. 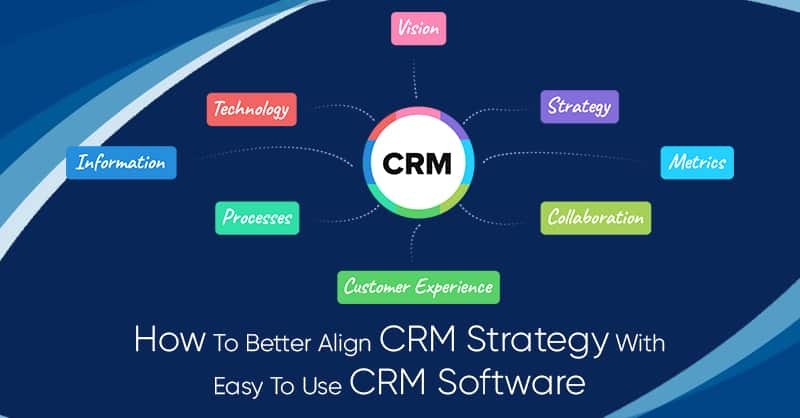 Multi-channel CRM makes every channel touchpoint enabled with customer information that results in increased customer acquisition, satisfaction and retention. ConvergeHub is the first SMB CRM to offer multi-channel marketing capabilities. “There are no major competitors for multichannel marketing solutions in the small business market. This company is the first to do this,” – comments Ray Wang, principal analyst at Constellation Research. Email Marketing: Businesses can edit or create templates to email messages to the customers. Targeted email marketing increases click-through rates by nearly 3x. So while most email software only allow to upload a list and send static emails to it, ConvergeHub empowers users to segment the lists based on different criteria and send appropriate, engaging and personalized messages to the recipients. This ensures that users do not send spam but emails that truly connect with all recipients. SMS and Fax Marketing: ConvergeHub has partnered with the globally renowned cloud communications company Twilio. Users are just required to have an account in Twilio to fax or text messages to the contacts. Ray Wang advocates the integration of ConvergeHub with Twilio and comments that this integration is what makes this level of multichannel marketing available and cost-effective for small businesses. Social Marketing: Users can connect their Twitter account with ConvergeHub and tweet promotional messages to advertise their products and services. No requirement of separately logging into the social media profile. ConvergeHub enables users to keep a 24/7 tab on the tweets of the business contacts. So they always have a knowledge about what customers are talking and whether they are mentioning/following/engaging with the brand. With so much of data in hand, users understand the mind of the contacts and run more targeted social media campaigns, based on their likes and preferences. Voice Calls: Users can make calls from within ConvergeHub itself. Thanks to the partnership with Twilio that allows ConvergeHub users to make use of Click to Call functionality. Sales, Marketing and Customer Support teams can have a great calling experience and never have to waste time dialing phone numbers again. They simply need to upload phone numbers of their business contacts and set up calls through ConvergeHub. 2. Increased Sales Success: The marketing department benefits from ConvergeHub. But that’s not where the story ends. ConvergeHub users have spoken how high-quality usage of the platform aligns marketing and sales teams and increases revenue. For instance, ConvergeHub helps to frame highly relevant campaigns that generate more sales-ready leads. Conversations with these sales-ready leads are warmer and more positive, which helps the sales agents to easily push them towards the final PURCHASE. So eventually, consistent usage of ConvergeHub harmonizes efforts, reduces friction and builds trust between the sales and marketing departments. 3. Easy of Use with Predefined templates: ConvergeHub offers great simplicity that makes it easy to – create, customize, test and run campaigns on different media channels. Users do not need any coding, design experience or any other battle gear to create campaigns. 10+ predefined templates are just waiting for getting launched. Users need to pick one, add message, tweak the colors, change the images and its all set! Or even better! New Templates can be created from scratch and saved within ConvergeHub. 4. Reports & Analytics: Users get a clear and quick analytical assessment of all campaigns. That is because ConvergeHub provides graphs, statistics and other report data for every campaign executed. These sets of information help users to drill down the performance of every campaign, measure the results in real-time, tie the efforts to revenue, and understand what’s working and how to fix what’s not. 5. 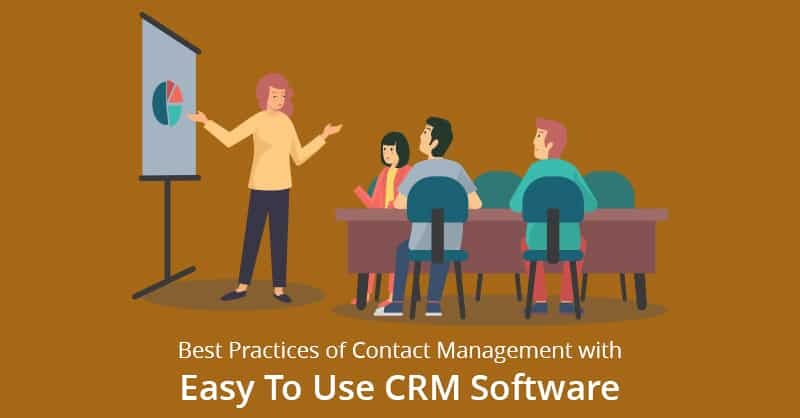 Easy Contacts’ Import: Small Businesses lose 25% of their time adding the new contacts from other systems to the marketing applications. ConvergeHub gives its users no such headache! It fetches and adds unlimited new contacts within a few minutes. Not just this, it helps users to add those contacts in the campaign lists and send different contents depending on the contact’s data, interactions, social behavior, and interests. 6. Web Forms: Most small businesses fail to capture leads from website visits because chasing programmers to build web forms is a big hassle. ConvergeHub empowers users to build forms without writing a single line of code. Whether forms are stand-alone or part of a marketing campaign, ConvergeHub makes it simple and quick!. Thanks to its easy drag and drop method that ensures web forms are built without any technical wizardry. Result: CovergeHub captures prospects’ information and redirects them to campaign pages. Users view the reaction and set actions whenever the prospect shares the campaign or positively responds to it. 7. Segmentation: ConvergeHub encourages effective marketing through precision targeting. It allows users to segment the marketing campaign lists based on different criteria such as business, annual revenue, location, employees, industry type, origin, status and much more. Since ConvergeHub holds a detailed profile of every contact, users can also take a look at the individual profiles to understand more clearly which segments should the contacts fall into. The segments can be saved for future reuse. Targeting specific segments of contacts with personalized content increases click throughs and conversions. 8. Lead Generation: Repeatedly running campaigns for a static list of leads is not an intelligent decision. So ConvergeHub helps users to grow the target list through various methods. Since it is not a standalone email marketing software but a full-funnel marketing platform, it offers multiple lead generation tools. This keeps the targets list always buzzing with new names. 9. Lead Scoring: Leads are not equal. So ConvergeHub helps users pinpoint the hottest ones. It has a Lead Scoring option that is used to rate leads based on the interactions and engagement happened. Leads who are ready to buy get high score while leads who respond less get weak score. Done well and consistently, lead scoring dramatically improves lead management and increases marketing team’s ability to pass more qualified leads to sales. Needless to say this results in more closed deals and higher revenue. 10. Lead nurturing: Lead nurturing is an integral part of marketing. 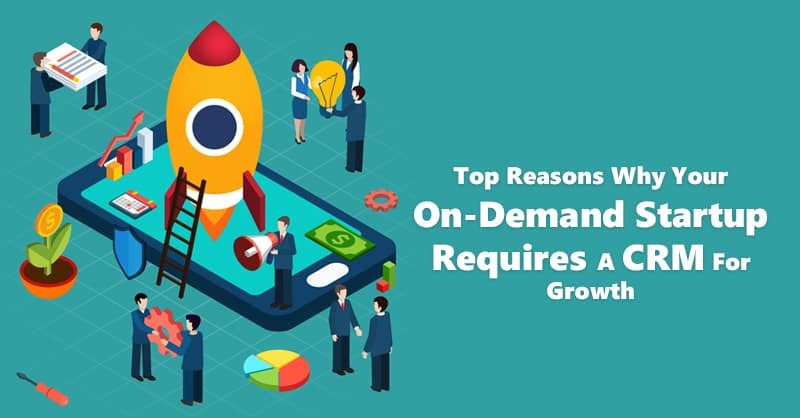 It involves continuous sending of engaging and personalized messages to the leads to ‘nurture’ them and convert them from non-ready to sales-ready. ConvergeHub makes lead nurturing easy and effective by assisting the users to nurture the leads at the right time with the right content. 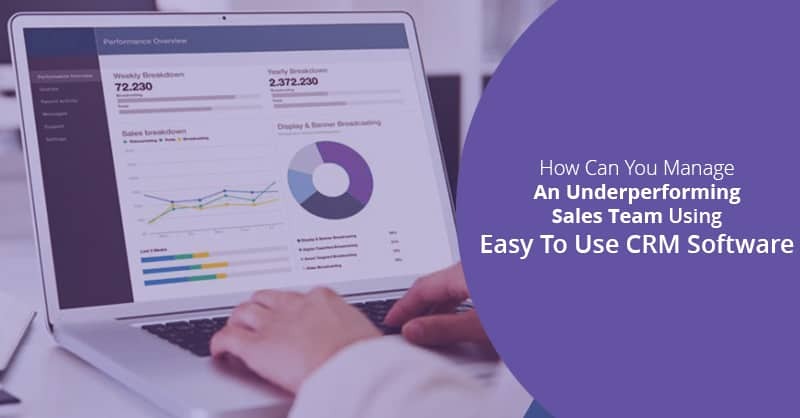 It helps users to study the leads’ data, plan out interaction pathways and frame contents based on their interests, behaviors, and current sales stage. Also ConvergeHub’s dynamic messaging and personalization features enable users to create stunning, responsive and tailored messages in a snap. 11. Comprehensive Solution: Edit data, do list segmentations, initiate campaigns, add automation conditions, nurture leads – users can do all this and much more. That’s the power of ConvergeHub! It functions as an integrated single-platform that effortlessly manages unlimited contacts, leads, campaigns and analytics. So users can let go their different email, social and analytics tools as ConvergeHub offers the functionality of all these systems together under one broad roof. 12. Automation: ConvergeHub does the heavy lifting of marketing. How? Through its functionality of Automation. Users set up tailored and targeted campaigns that run on autopilot. Result: Enormous save of time and money. For instance users can either create and send campaigns immediately or schedule them in advance and be rest assured that they will be executed at the right date & time. So marketing agents are no longer engaged with the labor-intensive tasks of marketing. And the best part? ConvergeHub can be programmed to automatically perform crucial actions on the occurrence of some specific activities and behaviors. Example: Whenever leads (generated from any marketing campaign) are added to ConvergeHub, email notification can be sent to the selected sales agents for immediate follow-up. 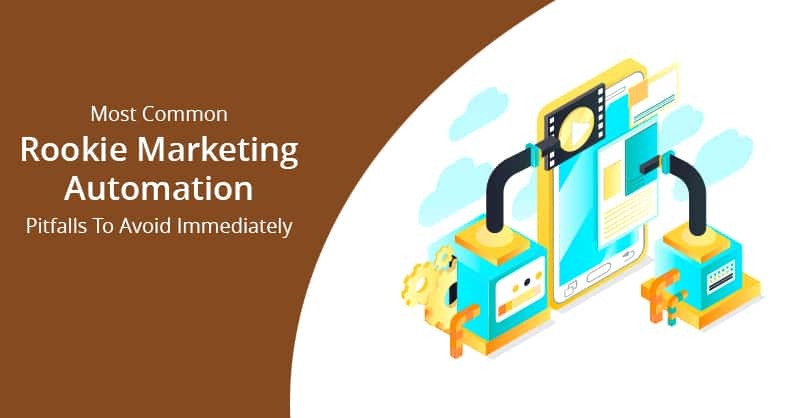 The strong user recommendation clearly explains why ConvergeHub fits into the slot of a marketing automation application and why it has been chosen as one of the Top 25 Marketing Automation Applications in GetRank Q3 2015. While ConvergeHub has received many awards and acknowledgements in the past two years, what makes this recognition more special is the name associated with it – GetApp. The credibility and stature that GetApp holds is unquestionable. It is a Gartner company and a leading premium business app discovery platform on the web. Headquartered in Barcelona (Spain), GetApp serves as a platform for user-generated and editorial reviews of software and apps for businesses. Every month, it attracts millions of small business owners and entrepreneurs to discover, compare and choose the right business apps. 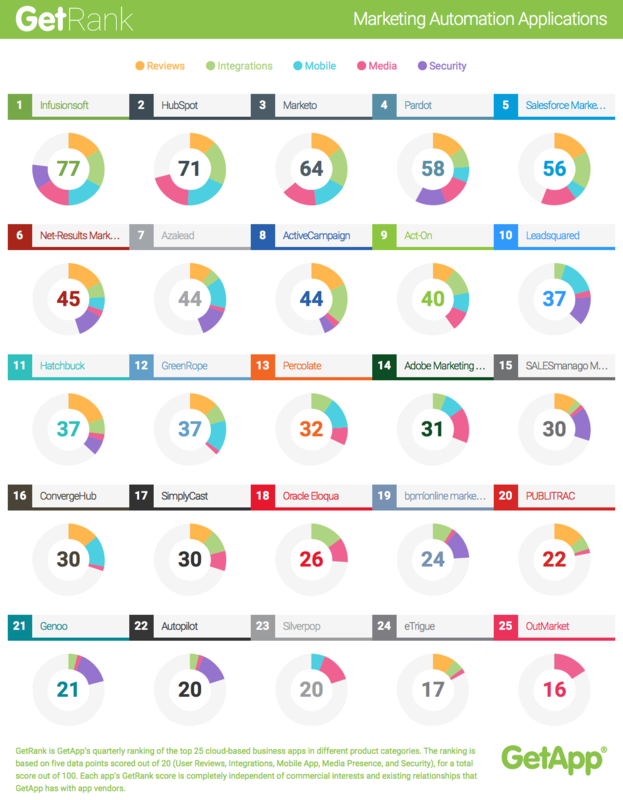 Check out the infographic below that showcases GetApp’s quarterly ranking of the top 25 Marketing Automation apps. Each app is scored on five criteria: User Reviews, Integrations, Mobile Apps, Media Presence, and Security. Note: GetRank score is completely independent of commercial interests and existing relationships that GetApp has with app vendors. Sign up to get our weekly tips & tricks FREE! Join our weekly newsletter packed with sales tips.